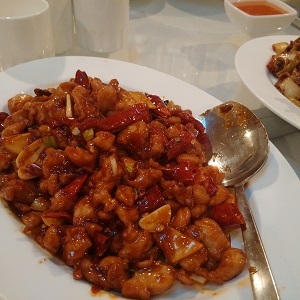 The Chinese Quest eagerly awaited their Quest last night to the newly opened Chef Wang, New Sichuan Cuisine Chinese restaurant in New Hyde Park. 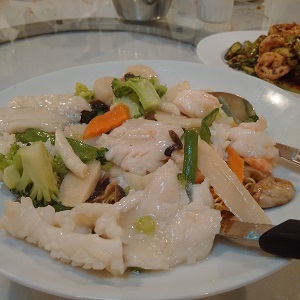 Promising Authentic Chinese cuisine, the Chef delivered on his promise. 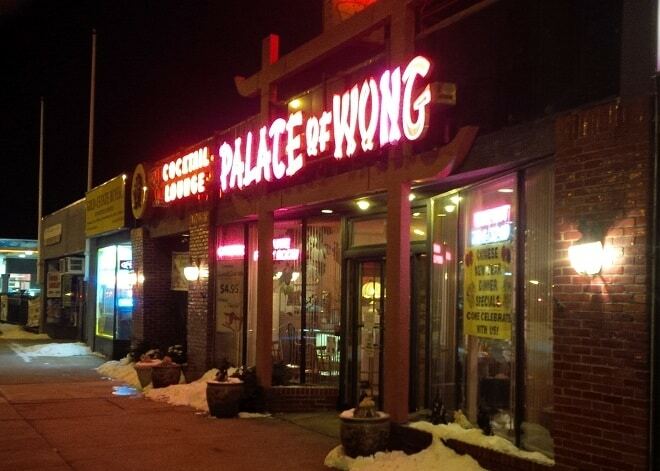 Chef Wang has three extremely popular Chinese restaurants in Manhattan. This is his first venture to Long Island. While Chef Wang wasn’t present this evening, clearly his staff has been well trained, and his Chef’s are upholding his “Legend”. Though New Hyde Park might have been a curious location to choose for his new Chinese restaurant (which was on the site of many failed Chinese restaurants in the past), I have the faith that he will develop a name and reputation here…. He has built it… and people will come! 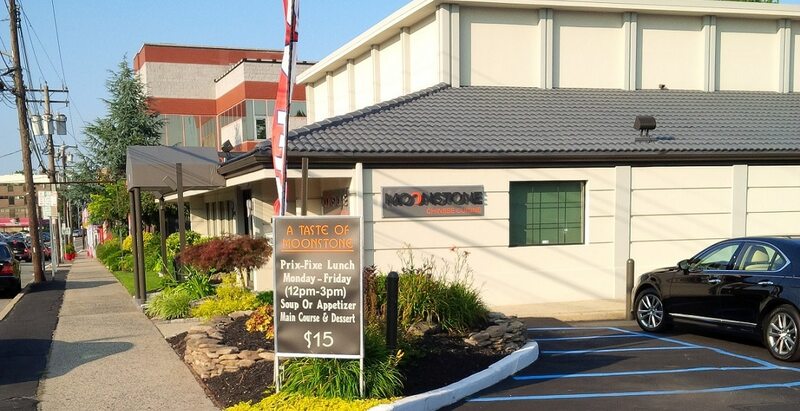 Extensive renovations to the interior of the restaurant were made, and this has become one very fine dining establishment, that will easily rival any of the upscale Chinese restaurants that are located on the Gold Coast of north shore of Long Island. Tonight, Mee Yong Joo brought an esteemed guest, the most honorable Mee Bruce Ree. The Quest was in rare form this evening, and we can only hope that the good Doctor Ree won’t think us all nut jobs. True to their authenticity, Chef Wang didn’t have any fried noodles on the table when we arrived, but roasted shelled salted peanuts. 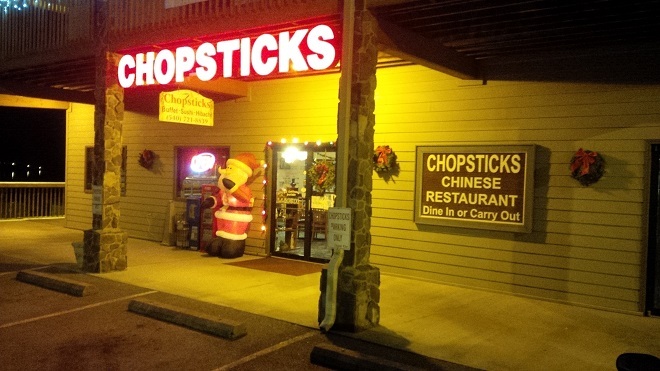 We knew we were going to be treated extraordinarily well this evening, when even I was complemented on the dexterity I displayed by eating the nuts with my chopsticks without dropping a single one. The Manager, Richard, started us off with complementary Salmon and Tuna Sushi. Fabulous! They have an extensive sushi bar for those who are so inclined, and a fully stocked bar as well. This Mee gives two straws up to their Mai Tai’s! Four appetizers were ordered that whetted our appetite for what was still to come. 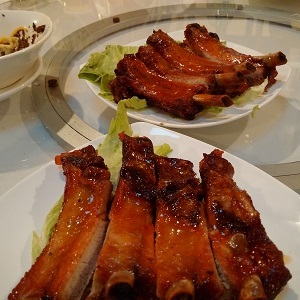 BBQ Spareribs – to this Mee, these were THE best spareribs I have ever had. The meat literally fell off the bone, it was juicy and succulent. The sauce slightly sweet, but not overdone, nor over whelming. This wasn’t the typical spareribs that you typically find in an Americanized Chinese restaurant. Some of the other Mee’s weren’t as blown away by these ribs as this Mee, but they did enjoy them as they flew off the plate so quickly that I didn’t get a chance to have a second one. I could have made a whole meal of these ribs. And one day soon, I will come back, and do just that! Sichuan Pork Dumplings with Roast Chili Sauce – These were different, flatter, dumplings than I have had before. They looked more like ravioli. I liked these very much too. Dan Dan Noodles – these packed a surprising punch. I liked them. No wonder Marco Polo took the pasta idea back home with him. It was probably a dish such as this that inspired him! Little Juicy Pork Buns – Soup dumplings that weren’t overly hot temperature wise. Just right. We were ready for the entrees! Shredded Beef with Three Vegetables – Beef was on the crispy side, yet good. The vegetables were, of course, off the hook! 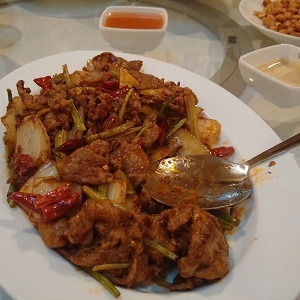 Kung Pao Chicken (Most Famous Szechuan Chicken), served without the peanuts. Not as spicy as other Kung Pao’s I’ve eaten, the chicken was quite tasty. Lamb with Cumin – Mee Yong Joo felt that the cumin was overstated in this dish. There wasn’t a morsel left on our plates or on the serving dishes. If people weren’t watching, I think we would have licked all the plates clean! I think one thing they could improve is to be more subtle with the spices. The cumin lamb was too strong with cumin. The cumin overwhelmed the taste. I love cumin, but it was overstated. It was over-spiced if there’s such a thing. Answer just what your heart prompts you. Can someone please explain that one to Mee? Faith is a law. I don’t know if it’s a law, but a belief. “Respect” should be a law! Any idea seriously entertained tends to bring about the realization of itself. I think the Fortune writer had just finished reading The Secret when s/he wrote up those last two. Take your time today so you won’t walk in mud. Personally, I keep my eyes on the ground to avoid puddles. Wealth buys leisure, but not wisdom. THAT is brilliant! 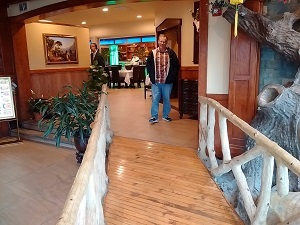 Whatever you do, please don’t overlook this gem of a Chinese Restaurant on Jericho Turnpike in New Hyde Park! Chef Wang, recently opened his first restaurant on Long Island in New Hyde Park. 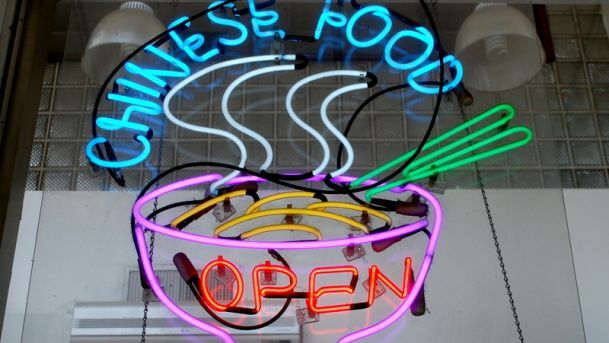 Already a legend in Manhattan with three Chinese restaurants… read more! Summary : Real good Authentic Chinese food this side of Flushing! For my 85th birthday my 2 daughters and family drove from MA and flew from CO to help me celebrate. They were ecstatic with the flavorful food. They thanked me for suggesting the place. Of course we had been there many times. This time, since we were 9 people, we ordered what the ‘NYTimes suggested’. The pork ribs were big. The Pancakes were cut nicely. The cucumbers satisfied me as #1 on the list. 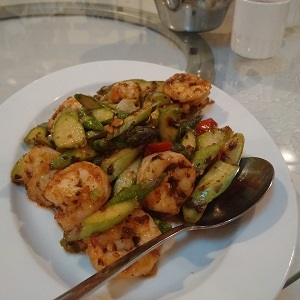 Prawns with Asparagus ran out but I got to take some home. It made a great breakfast. The leftover Tilapia was had for lunch. With the leftover rice. A great lunch. The children and g/children are looking forward to the next visit. That’s wonderful!! Where are you celebrating your next birthday? We want an invitation!! 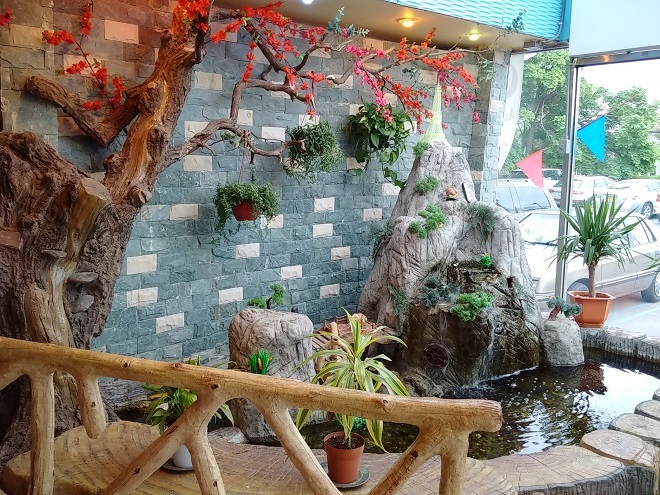 Mee Magnum recently posted…What is Your Chinese Food IQ? The parking lot was full (good omen) and there was one open slot for me. We got greeted by a Chinese boy as he left (good omen) Our reserved table was immediately available. The waitress spoke English (as in primary language). We both ordered Hot and Sour soup. The teaser for most restaurants. It was tasty and markedly different than the usual canned soup. We each ordered a dish to share for our main course. Mongolian beef (which I had last in Beijing) and fried Lamb with Cumin. We were alerted that the lamb selection was very spicy and elected to take 1/2 spice. Still plenty hot. Quartered orange was presented as a hospitality gift as was peanuts when we sat down. Fried short noodles were also given with only sweet sauce. Service was un-rushed and the staff very pleasant. It made for a great Sunday dinner. We plan to return as the trip is easy from Great Neck. I’m so glad that you enjoyed your dining experience at Chef Wang as much as I did!! 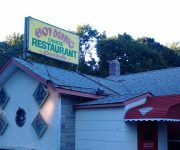 Did you learn about Chef Wang’s from reading our review? The food looks amazing and plentiful. I would love to try this if/when I get back to NY, although I don’t usually get out of the Broadway area, but it looks like a wonderful place to eat. Rene, it was. And it was. If you don’t make it out to Long Island, Chef Wong has three Chinese restaurants in Manhattan… I do believe with the name ‘Legend’ in it.